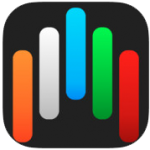 touchAble is THE controller app for Ableton Live. Countless artists around the globe – from bedroom producers to award winning artists – use it on stage, in their studio or while on the road. touchAble 2 has been completely redesigned from the ground up, with stability and performance in mind – as well as an array of new and improved features. touchAble offers no-compromise-control of Ableton Live from your iPad. Its modular interface allows to split the screen to show two modules at the same time – or to maximize the surface area of a single module. And if the size of one iPad is not enough, you can use touchAble with as many iPads as you want. Each module offers full feedback from Live, making sure you always know what you are tweaking. The Clips Module is a touchAble representation of your Session View. 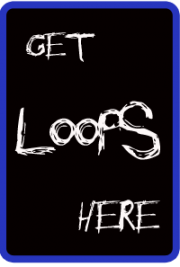 Launch Clips and Scenes, Solo and arm tracks, or open up the loop controls to quickly loop a running Clip. touchAble 2 introduces an overview that allows quick access to any position in the set. Live 9 Users can use this module to manage their Live Set – Create or delete Tracks, Scenes, Clips and even stop buttons – without ever touching your Computer. Edit MIDI Clips with the new MIDI Editor. Drum Mode makes it easy to lay down a drum loop. Chord Mode allows for precise note placements and lengths – in any scale you want. touchAble’s Mixer lets you adjust Volumes, Sends and Pans. Access the Crossfader and change A/B assignments. Accurate dB readings and level meters allow you to take your eyes off the computer – and only focus on your mix. The intuitive snap mode and multiple controls per track make it the perfect tool for live performances as well as studio-use. Access Live Devices, VSTs or AUs. Intelligent Controls adapt to the type of control used in Live. For some Live devices, a native template mimics the device in Live – providing an interface that will make you feel right at home. Snap and Combo mode allow for quick control changes in Live situations. Several optional control windows allow switching the Scale, enabling note-repeat or aftertouch or changing the current octave & velocity. Positional velocity gives your recordings a human touch. the XY Pad lets you assign and control up to 12 parameters at once. Gravity Parameters on each of the dots let you create natural and interesting effects. Take Snapshots and restore them in an instant – or morph between them. Edit your own interfaces using XY Pads, Faders, Rotarys, Buttons, Labels and Containers. Assign any Live parameter or MIDI CC/Note. Use as many pages as you like – and save and restore your templates. Combine your own template with touchAble’s other modules – and create the perfect controller for yourself. Exclusively available for Live 9 users, the Browser lets you access Lives Library, including all of Lives Devices & Instruments, your Samples, Drums & Sounds. Drag and Drop Devices on a track – or drop Samples on one of the DrumPads, touchAbles Browser will free you from your Computer while setting up your set. touchAble 2 is compatible with Live 8 & 9 – Intro, Standard and Suite – and runs on all generations of iPad. The Server Software requires OSX 10.5 and above or Windows XP and above. Download the Server Software from http://www.touch-able.com and follow the installation process. •Create an AdHoc wifi network (recommended) or use your domestic router network and connect your iPad to it. •Run the touchAble Server and Ableton Live. •Launch touchAble on your iPad and tap the Server to connect. •Within a few seconds your set will be touchAble.